Two Scenarios The house next door has been sold and it stands empty waiting for the new neighbors to move in. The grass is uncut and in some places has grown almost a foot high. Newspapers and junk mail hang out of the mail box and the house appears deserted. What should a Christian do? a. Cut the grass. b. Park a car in the driveway so it looks like there is activity at the house. c. Collect the papers and mail, and keep them until your new neighbor moves in. d. All of the above. The correct answer is “d.” That was an easy one. Here’s another scenario: An older widow is struggling to make ends meet. A heavy wind has recently torn some shingles off the roof of her house, and now when it rains water leaks into her kitchen. What should the Christian do? a. Pray for the widow. b. 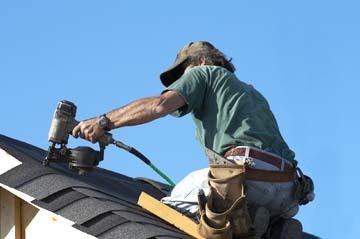 Buy roofing material and fix the roof. c. Ask if there is anything else that you can do for her. While the correct answer is still “d,” this one’s a bit harder because it will not only take more time and effort, but also your money. Did you notice that these two scenarios didn’t say whether the neighbor or the widow was a Christian, or if either was from the church you attend? It should not matter! Help is always needed. It is needed by your brothers and sisters in Christ as well as by the unsaved around you. Any assistance a Christian can give them, when done in the attitude of the divine love of 1 Corinthians 13:1-3, becomes the hand of Christ reaching out to them – the love of Jesus reaching them through you. While some people hardly ever notice the needs of others, some have been gifted to see when people are hurting, where a helping hand can be encouraging and where assistance is really needed. People who are blessed with the ability to see the needs around them and compelled to do something about them are probably those whom the Lord has given the “gift of helps” (1 Cor. 12:28). There are biblical examples of saints who had this gift. Let’s look at two of them. “I urge you, brethren – you know the household of Stephanas, that it is the firstfruits of Achaia, and that they have devoted themselves to the ministry of the saints” (1 Cor. 16:15 NKJV). There is little specifically recorded as to the actual deeds of Stephanas other than his assistance in bringing finances to and encouraging Paul (1 Cor. 1:17-18). However, describing a whole family “devoted … to the ministry of the saints” suggests that they went beyond simply traveling some distance to see that funds for support were safely delivered to the apostle. To put it into today’s terms, they probably also gave Christians rides to meetings and other appointments, visited the sick, shopped for the homebound, helped fix broken things, and much more. They probably also cleaned up the meeting hall, gave money to needy souls, and served on the boards of Christian ministries. All this would be coupled with prayer in order to bring many needs before the Lord even while being used as His hands. The list of helps was endless, and they were so immersed in this work that Paul described them as “devoted” – or “addicted” as the King James Version puts it! “At Joppa there was a certain disciple named Tabitha, which is translated Dorcas. This woman was full of good works and charitable deeds which she did … She became sick and died … All the widows stood by him (Peter) weeping, showing the … garments which Dorcas had made while she was with them. … He said, ‘Tabitha arise.’ And … when she saw Peter she sat up” (Acts 9:36-40). When Tabitha (Dorcas) died there were so many people who depended on her good works, that they called for Peter to bring her back to life so that she might continue her service. Did you notice the interesting words used in Tabitha’s commendation? “This woman was full of good works and charitable deeds which she did.” Charitable deeds is an old-fashioned term for providing money, food and clothing to poor people. This would suggest that those with the gift of helps have not only the ability to see the needs of others but also have the grace to devote their time, interest, effort and finances to meet those needs. In these two examples, it appears that both Tabitha and the household of Stephanas spent themselves mainly in serving those in the Church. However, it would not be surprising if they also assisted those outside the faith without partiality (Jas. 2:1). The Bible does tell us this: “Therefore, as we have opportunity, let us do good to all, especially to those who are of the household of faith” (Gal. 6:10). Look at the example of God’s angels: “Are they not all ministering spirits sent forth to minister for those who will inherit salvation?” (Heb. 1:14). This verse suggests that an angel’s service to an individual starts long before that individual is saved and continues as a “guardian” until that person is taken to heaven. We should thank the Lord daily for these examples of help. Of course, the greatest example of one who may be described as the ultimate helper is the Lord Jesus! It is written of Him that He “did not come to be served, but to serve, and to give His life a ransom for many” (Mk. 10:45). He starts by giving eternal life to the unsaved and then continues His work from heaven, daily watching (Mt. 28:20), washing (Eph. 5:26) and interceding (Heb. 7:25) for each Christian. It would be a shame not to acknowledge this, thanking Him for who He is and for what He has done and is doing on our behalf. We should also thank the Lord for those He has especially equipped with the gift of helps. They do so at considerable expense of time, effort and money. We can never help someone else without it costing us something! That’s the unwritten rule of giving. A person who has the gift of helps also has the grace to help without counting the cost. For them, the heavenly reward will nullify the cost. Do you have the gift of helps? If you look forward to assisting others, even at a personal cost to yourself, you may be one whom the Lord has given the gift of helps. This may be further confirmed if you “do not grow weary in doing good” (2 Th. 3:13). You persevere even when nobody seems to notice or acknowledge your service. You enjoy serving behind the scenes, and look forward to the reward the Lord has promised: “Behold, I am coming quickly, and My reward is with Me, to give to every one according to his work” (Rev. 22:12). What matters most is pleasing Him! Help is constantly needed; you don’t have to look far to see someone who can use encouragement or assistance. The Lord said, “For you have the poor with you always” (Mt. 26:11). While this statement refers first to those with financial needs, the poor also includes widows, shut-ins, the lonely, the elderly, the disabled and those mentally disadvantaged. It may also include everyday needs like a young family that needs encouragement and baby-sitting services. While many may feel that they do not have the gift of helps, every Christian should be willing to give help when needed. This is Christian charity, an expression of God’s love. We have the privilege of being the hands and feet of the Lord Jesus in the world today. He wants others to know that we belong to Him by showing an active display of His love to one another and to our neighbors as well: “By this all will know that you are My disciples, if you have love for one another” (Jn. 13:35). Remember the words of our Lord and Savior: “Freely you have received, freely give” (Mt. 10:8). The list of needs is almost endless. Some of them are being met by others, but many are not being addressed at all in this day of selfishness, isolation and general busyness. We should be praying that the Lord will raise up more saints with the gift of helps. But note that He just may answer that prayer through you! Meanwhile, you should always be looking for situations where you can be a help, and start helping. Then, by example, encourage your family, young people, retired people, and your local church to become helpers. The best way to teach children to be unselfish is to involve them in helping when you help others.